Beginning a meditation practice can be an overwhelming experience, especially if the mind is flooded with questions. How can I fit one more thing into my already busy life? What do I do when I sit to meditate? Is this what meditation is supposed to feel like? Is this even worth my time? 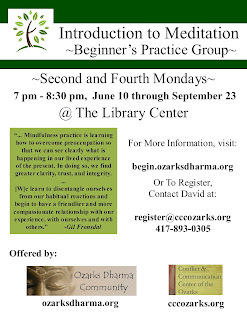 A Beginner's Practice Group is meant to provide you with the encouragement and accountability that helps you establish a regular meditation practice. 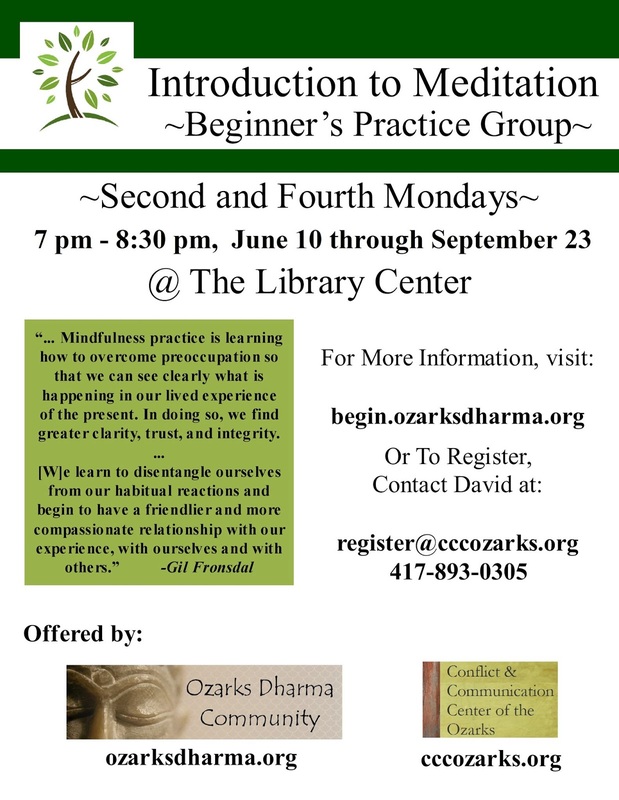 Whether you're completely new to meditation or are looking to deepen your commitment, you're welcome to join us on the second and fourth Mondays of June - September 2013 (8 meetings, 7 pm to 8:30 pm) as we explore the how and why of starting a meditation practice.